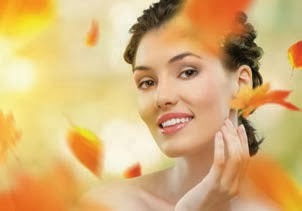 It’s Fall ~ The time of year we are told that now is the time to supercharge your skincare routine through exfoliation. Never before have there been more serums, acids, peels and technologies for keeping the skin looking young. However, this approach is doomed to backfire over time. It’s time for a new paradigm in skincare. There is no question that forced exfoliation does speed up epidermal turnover. However, it does so by creating holes in the epidermal barrier forcing the epidermis to go into survival mode. Unfortunately, many skincare professionals just look at the end result. They mistakenly assume that the increased cellular turnover means the skin is healthier, when in fact the reason the epidermis is speeding up its cycle is really an emergency-repair response. The skin responds to trauma by sending support from the bottom up, diverting collagen, antioxidants and crucial nutrients from the dermis in an attempt to repair the damage to the epidermis, thereby creating a nutritional deficit at the underlying layers of the skin. This combined with the increased inflammation and micro-scarring caused by the harsh exfoliation and the resulting stress to the immune system creates a stage for pre-mature aging, an increase in free-radicals, dryness, irritation and redness, increased sun sensitivity and melanin activity. However, you can get the benefits of exfoliation without harming your skin. Used properly, mild exfoliation can result in younger, refreshed skin. It helps clear clogged pores, smoothes skin and softens lines. In order to help the skin achieve the balance it needs, we must work with the skin and avoid creating inflammation. Use a gentle, non-inflammatory exfoliator. Any exfoliation should not be done daily. Always wear sun protection - 365 days a year - to keep sun sensitivity to a minimum. Eat a healthy diet and take internal supplements as needed to help the skin correct any imbalances. So before you reach for that product or schedule that appointment for a deep exfoliation on the promise of glowing, renewed skin, stop and take a moment to listen to your skin. Work with your skin from the inside-out and have a long-term vision on where you want your skin to be in 5, 10, or even 20 years. Your skin will thank you for it. For gentle, yet effective exfoliation without inflammation, we recommend Polish, our delicious cranberry enzyme-smoothing, peptide-firming, antioxidant mask. It is a mild, exfoliating mask that gives the skin a smooth, healthy appearance with each application through the use of cranberry enzymes with small amounts of L-lactic acid. It contains 1% of the potent antioxidant CoQ10 that leaves your skin protected and radiant. Using fruit and other gentle enzymes, Polish is designed to remove only the dead skin cells while minimizing lipid removal, keeping the skin soft and healthy. In addition, Polish provides a gentle firming effect and a radiant glow that lasts for many hours leaving your skin firm, smooth, and beautiful!